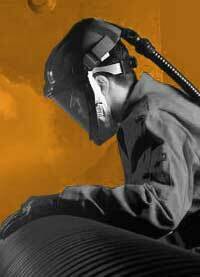 We would like to welcome you to the Respiratory Protection Center web site. 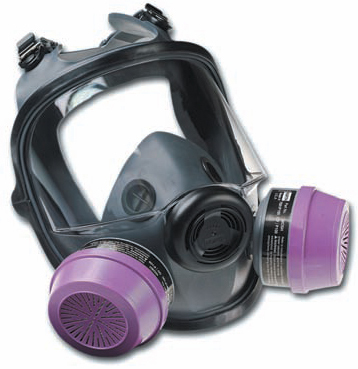 We carry half mask respirators, full face respirators, gas mask respirators, disposable particulate respirators, dust masks, airline respirators, replacement respirator catridges and respirator filters. Our staff is here to help you in any way that we can. 100% Customer Satisfaction is our number one priority. So if you are unsure of what product is best for your project call us toll free at 1-800-227-8479. What type of respirator do I need? The type of respirator that you need depends on your hazard. 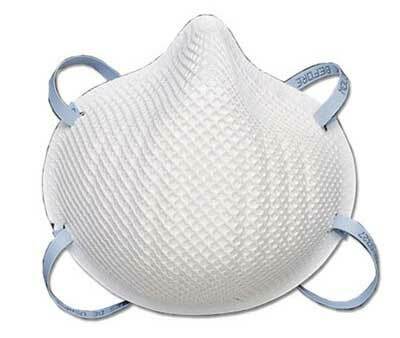 The most basic respirator is a dust mask, which protects against low levels of organic vapor or other hazards. The next level of protection is a half mask respirator that completely covers only the nose and the mouth. 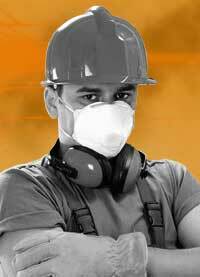 However, with some hazards skin irritation or eye irritation is a concern, a full face respirator may be required. These are sometimes called chemical respirators for this reason. 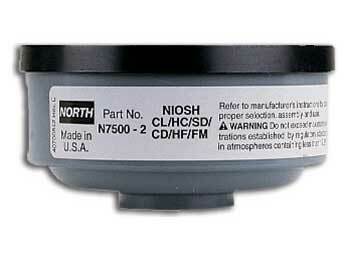 You can customize the effect of your respirator with the cartridges you choose to install. There are cartridges that guard against acid gas, organic vapors, or both. Lastly, if hazardous particulate (very fine particles that penetrate through ordinary cartridges) is a concern, you will want to add an extra layer of protection with a filter that attaches to your cartridge. We sell all of these products. Check out our quick product guide below or through the product menus above to determine the type of respirator that is best for you. Particulate Respirators, sometimes called 'dust masks', are the most simple, least expensive, and least protective of the respirator types available. 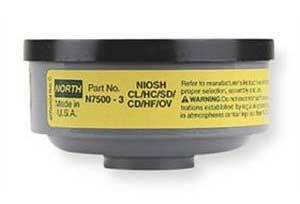 These respirators only protect against particles. They do not protect against chemicals, gases, or vapors, and are intended only for low hazard levels. 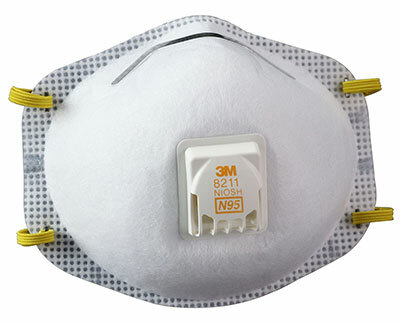 The common N95 dust mask is one type of particulate respirator, often used in hospital to protect against infectious agents. Particulate respirators are "air-purifying respirators" because they clean particles out of the air as you breathe. Even if you can't see the particles, there may be too many in the air for this respirator to provide adequate protection. These respirators are sometimes called chemical respirators because they filter or clean chemical gases and vapors out of the air as you breathe. 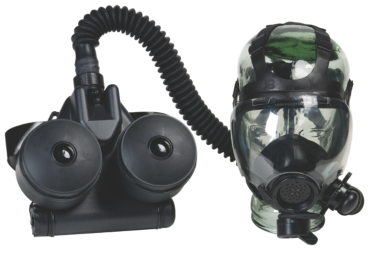 These respirators include a full face mask or or half mask, and a filter/cartridge (if the filter is in a metal shell it is called a "canister"). Straps secure the facepiece to the head. The cartridge may have a filter to remove particles (this is usually called a P100 filter) combined with the cartridge. It may also have a charcoal or carbon cartridge to control odors and organic vapors. When the user inhales, air is pulled through the filter. Gas & chemical respirators are effective only if used with the correct cartridge and filter for a particular biological or chemical substance. There are cartridges available that protect against more than one hazard, but there is no "all-in-one" filter that protects against all substances. 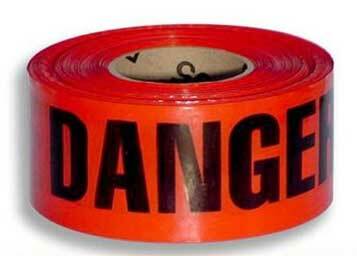 You need to know what hazardous materials you will face in order to be certain you are choosing the right filters or cartridges. Escape or Emergency Breathing Apparatus (EBA) Respirators are designed to be used only in an emergency, and only to escape from a dangerous area to a safe area. There are several escape respirators on the market. Many of them use a hood with a neck seal instead of a facepiece. They are typically designed for one-time use for a short period, typically 15 minutes to 1 hour. They may be available in a variety of sizes and will fit most adults. Individuals with small or very large neck sizes may not be able to use some escape hood designs-check the supplier product information before purchasing. 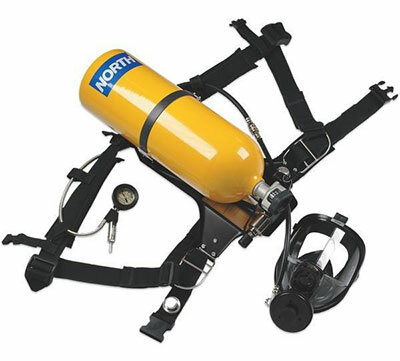 Self-Contained Breathing Apparatus (SCBA) is the respirator commonly used by firefighters. These use their own air tank to supply clean air, so you don't need to worry about filters. They also protect against higher concentrations of dangerous chemicals. However, they are very heavy (30 pounds or more), and require very special training to use and to maintain them. 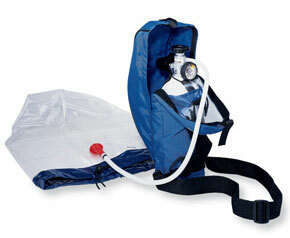 Also, the air tanks typically last an hour or less depending upon their rating and how hard you are breathing. 1. Can I buy any Gas Mask or Escape Respirator and expect it to protect me from anything that might happen? 2. If I have the right cartridges/filters for a certain hazard, and my mask fits, will they always protect me against that hazard? 3. Can anyone wear a respirator mask? 4. Will a gas mask protect children? 5. Will my cartridge/filter and respirator mask protect forever? 6. 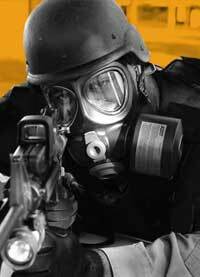 If I wear a Gas Mask correctly, am I completely safe? 7. Will a Gas Mask protect me if there is not enough oxygen in the air? 8. Will a Gas Mask protect me if there is a fire? 9. Once I put on my Gas Mask or Escape Respirator, how long will it last? 10. 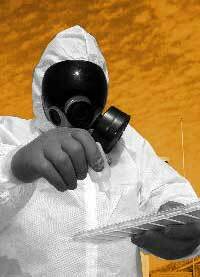 How do I know a respirator will protect me against the hazards it claims to protect against? 1. What protection (which chemicals and particles, and at what levels) does the escape hood provide? 2. Is there more than one size? 3. How do I know if the gas mask or escape hood will fit? 4. What type of training do I need? 5. Has the escape hood been tested against claims for protection such as biological agents, chemical warfare agents, toxic industrial chemicals, and radioactive dust particles? 6. Who performed the testing, what were the tested levels, and test durations? 7. Is the escape hood certified by an independent laboratory or government agency? 8. Are there any special maintenance or storage conditions? 9. Will I be able to talk while wearing the respirator? 10. Does the hood restrict vision or head movement in any way? 11. Can I carry the device in the trunk of my automobile? 12. Is a training respirator available? 13. Can I use the escape hood more than one time? 14. Can children wear the escape hood and get the expected protection?